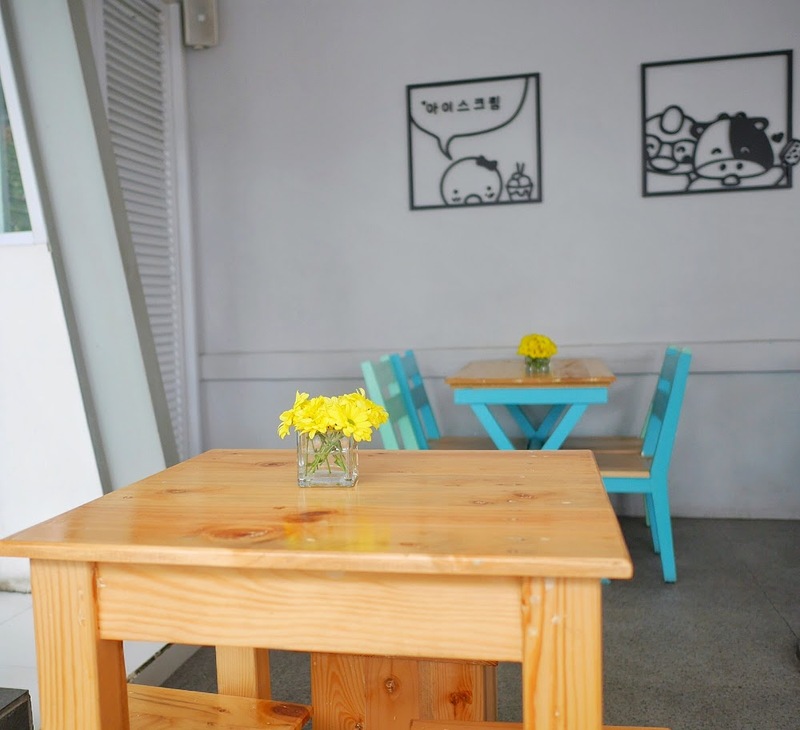 Both are located in the same building, Sweet Belly is part of DonWoori Suki. Take place at the shady Jalan Lombok, close to Gudeg Banda. How I miss this city with its small road, less traffic than Jakarta. As the last time, stayed at Hilton Bandung that is just right if you're into exploring culinary around Chinatown. This area is different, just a short turn from Riau street, honestly, got no idea about this place, but by the time I stepped in, yes so pretty, particularly outdoor seating area. 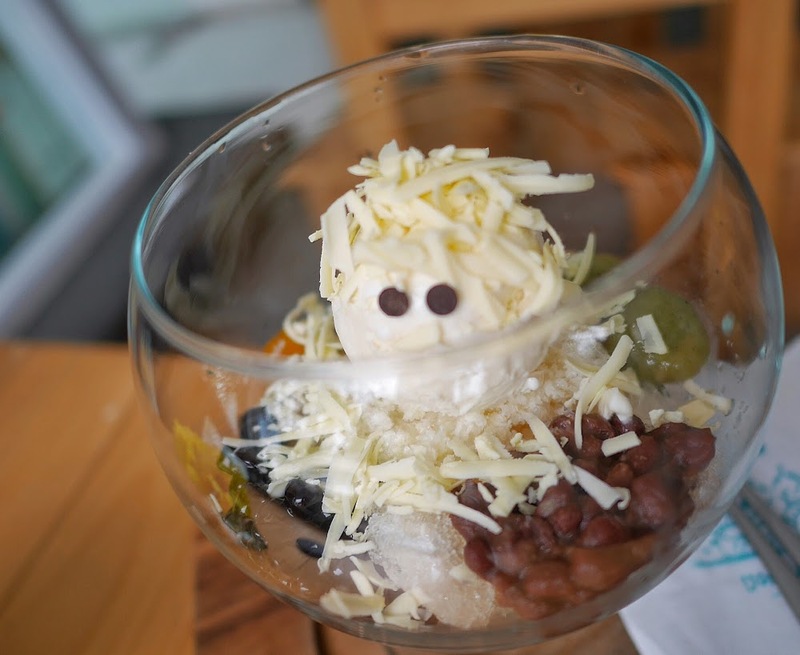 Another cute spot, serving casual Korean food and suki, with a dessert cafe on terrace, interesting. 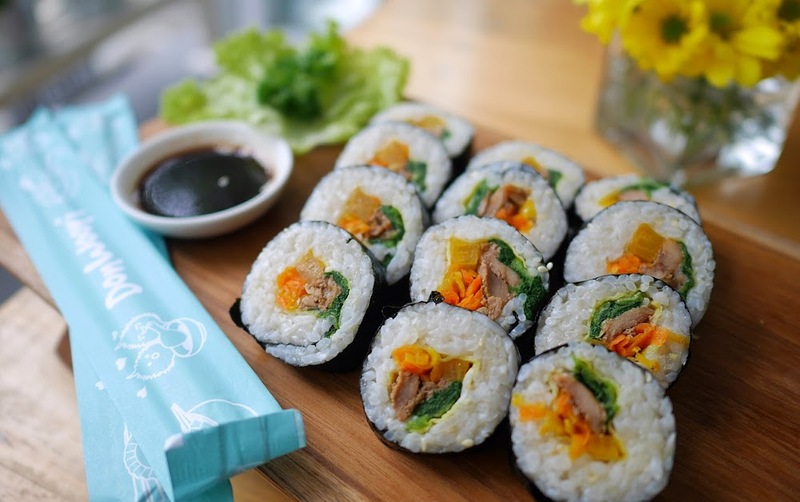 Chicken Kimbab - typical Korean rice rolls, consists of chicken, spinach, carrot, and pickled radish. Accompanied by soy sauce. Portion was extremely generous, got twelve pieces of kimbab. Tasty filling though I was expecting stronger sesame oil flavor. Perhaps I should try some other savory dishes, but it was too early. I was eyeing on their ice cream display ever since the time I came in, so many flavor to choose, from Thai tea to classic vanilla. Did manage to order the salted caramel to end up the meal, in fact that I had Cheese Shaved Ice earlier, for not-a-sweet toothed person, assessed desserts here were quite acceptable. Personally, I like it that there was boba in my cup, and sweetened adzuki bean which was surprisingly well-matched with cheesecake ice cream. Nothing to complain but the service, the cashier girl at Sweet Belly was not too friendly though I don't mind. Well a little smile would be nice. I'd like to go back to try suki, probably near in the future, and certainly to grab a scoop of ice cream. 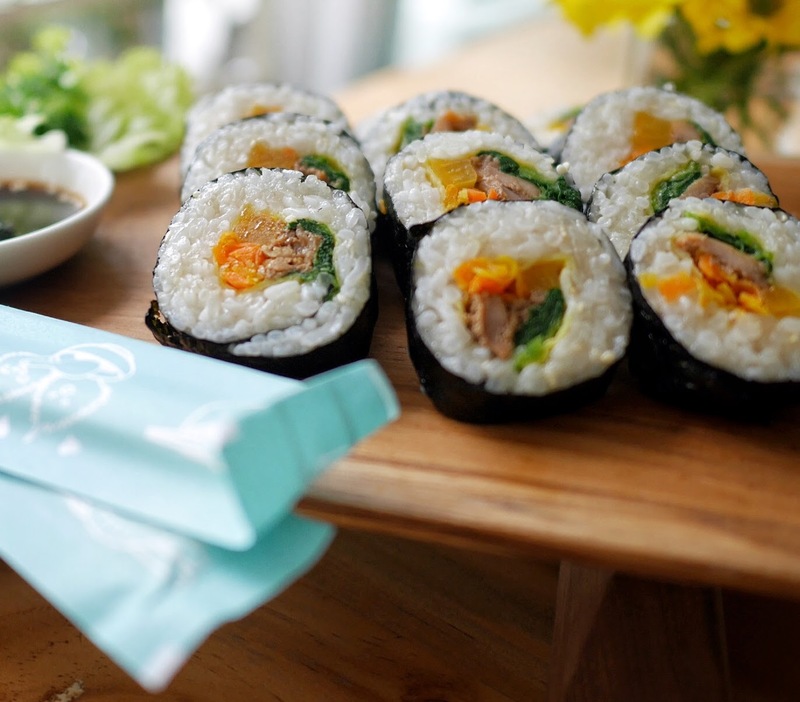 Sweet-belly-and donwoori-suki is the idea and the perfect plan to share in this blog. After reading this blog things would be perfect according to custom written dissertation plans. This blog is perfect and people will it.